STAR CATCHING’S IMMINENT ARRIVAL! | JUST WRITE IT! Do you believe that our departed loved ones watch over us from up there among the stars? October 25th is a sad day for me every year. On October 25, 1972 Paul, the man I expected to spend the rest of my life with, was taken from me by a tragic accident. Ancient history, you say (especially if you are young)? Move on! But anyone who has lost someone important and pivotal enough in their life understands the memory never leaves you. Two things positive came of that experience. One was that a lifelong connection developed with the two women who would have been my sisters-in-law, Dorinda and Barbara. And thirty years after that fateful day, the memories inspired me to start writing seriously again. As I penned Autumn Colors (yes, I hand-wrote the story before I keyed it into the computer), drawn loosely from that relationship, I not only created my first novel, I essentially recreated myself—or rather, I unburied the more sensitive and compassionate person I’d once been. I peeled away layers of hardness and defensiveness and anger that had accumulated over three decades as a defense against the utter sense of loss and lack of control that experience had created. Like a phoenix rising from the ashes, my better self took on new life. And that became a writing life. Autumn Colors was followed by In Her Mother’s Shoes. And now, I give you Star Catching. One of my favorite things was star catching. Gramps and Dad started taking me when I was really little, and we did it at least once during every summer visit. On a star catching night, we had one rule. If I fell asleep before it was dark, they had to wake me when it was time to catch stars. Gram and Mom packed a cooler of drinks and snacks for us. “Star catching is hard work,” Gram would say. Then she’d wink at Mom. As I got older and looked back at our star catching adventures, I figured out that maybe Gram and Mom had wanted some time alone. It had to be a crystal clear night, no clouds in the sky. We’d load the cooler and a couple of blankets into Gramps’ car, then off we’d go to Saratoga Battlefield, because there were lots of hills and wide open space, so nothing blocked our view of the stars. On the way, Gramps sang “Catch a falling star and put it in your pocket, never let it fade away.” I don’t remember all the words to the song. But it was about saving a pocketful of starlight for starless nights. Gramps said each of the stars represented special loved ones who were no longer with us, and they were watching over us. When we went star catching on that year’s vacation, we were lying on the blanket, staring up at the sky, waiting for a shooting star. When we saw one, we’d quick reach up to catch it. We all claimed to catch each star. When I said that wasn’t possible, Dad disagreed. Strength. That was what we would all need. The journey ahead seemed overwhelming. Sarah would be coming back to us, only to learn her family was gone, and she was left with Ed and me to guide her through life. Ed ad I were confronting the reality that, instead of a dream retirement with no obligations, we’d be grieving our losses and starting over raising a child. And doing that in a world that was very different from when we’d raised Jen. There was a profound sense of loss, of course. But also terror at being wholly unprepared for the task ahead. For Sarah and her gram and gramps, confronting their anger and loss and secret fears was key to moving on and embracing their new lives. As it is with all loss. 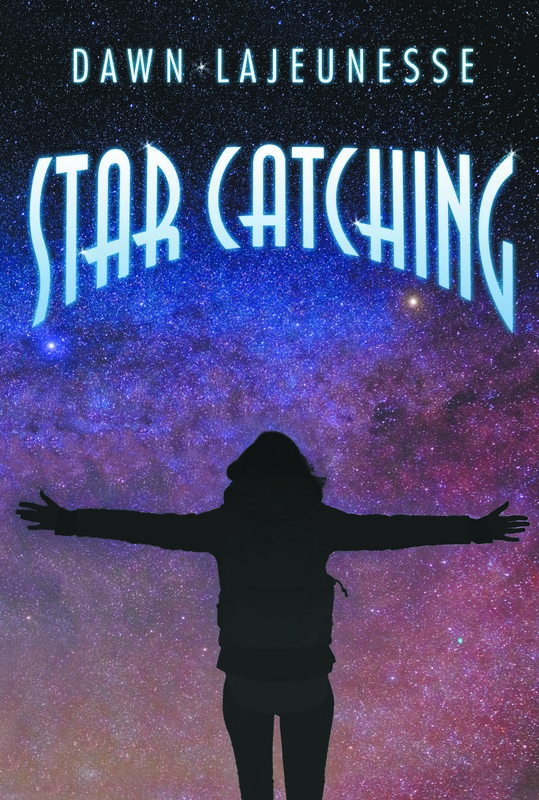 Star Catching’s official launch is in early November. Paperbacks can be pre-ordered on Amazon, Barnes and Noble, and all major on-line sources. E-books will be available in November. I also will have a supply of books for purchase and raffle at the Chronicle Book Fair at the Queensbury Hotel in Glens Falls, NY on November 6 from 11am to 3pm. Join me – and my friend and former classmate Gloria Waldron Hukle as we launch both our books at that event! This entry was posted in Autumn Colors, Blogs, Book Signings, Books, Grief and Loss, In Her Mother's Shoes, Star Catching, Women's Fiction, Writing and tagged Autumn Colors, Blogs, Book Release, Books, family, Grief and Loss, In Her Mother's Shoes, novel, Relationships, Star Catching, women's fiction, writing, YA. Bookmark the permalink. 1 Response to STAR CATCHING’S IMMINENT ARRIVAL!